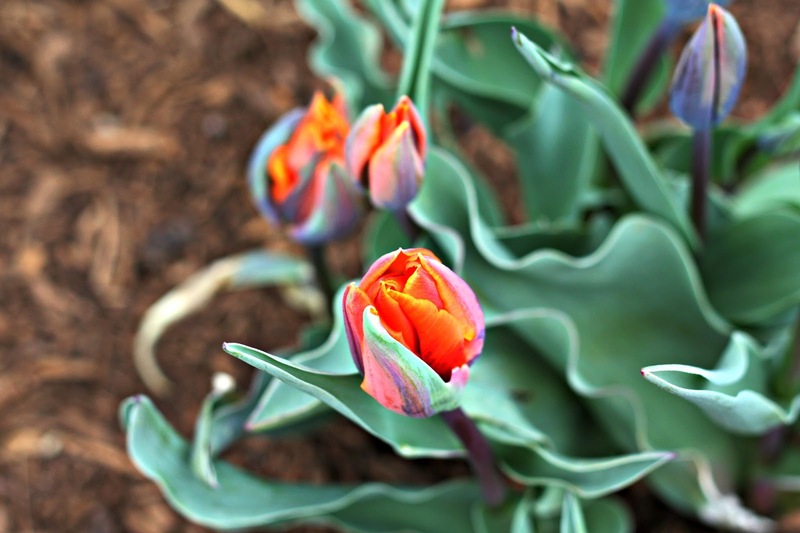 On a chilly, misty April afternoon I stumbled upon a bed of tulips. They added such cheer to my day....helped me to believe it was really spring! 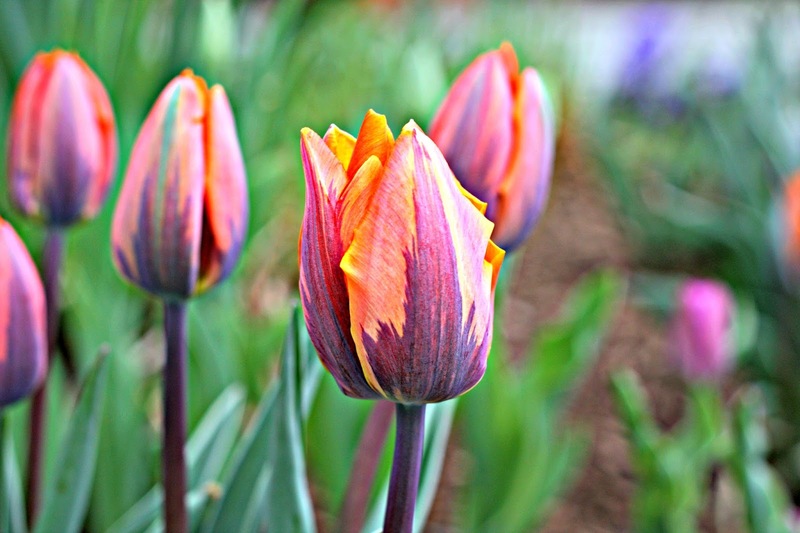 Their blooms were wonderful blends of rich, vibrant, royal colors. And their curly leaves added extra charm to these beauties! Beautiful! that 3rd photo is amazing! Wow...those shots look like paintings. When I first read the title I wondered if you had changed your hairstyle! Jill and May are right -amazing and painterly. Happy May Day, Adrienne. 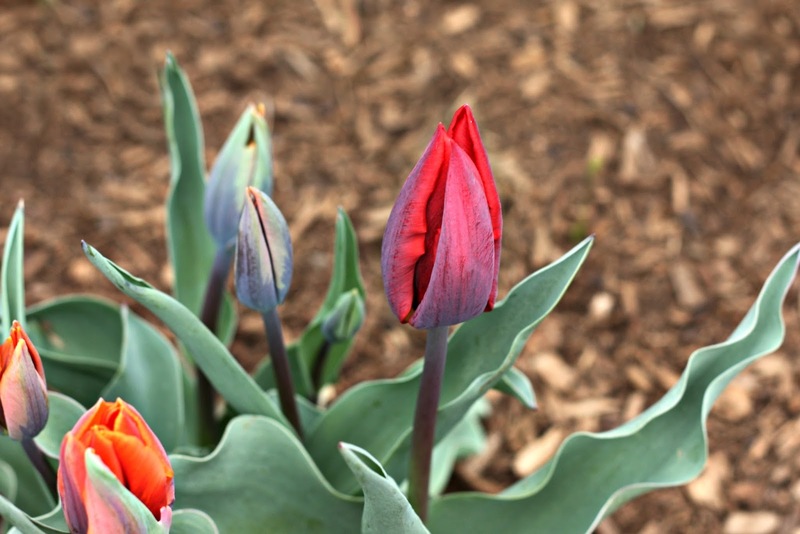 I don't think I have ever seen that color tulip before! Very cool!! How gorgeous! I am so happy it is May! The colors are so rich! Love these shots! 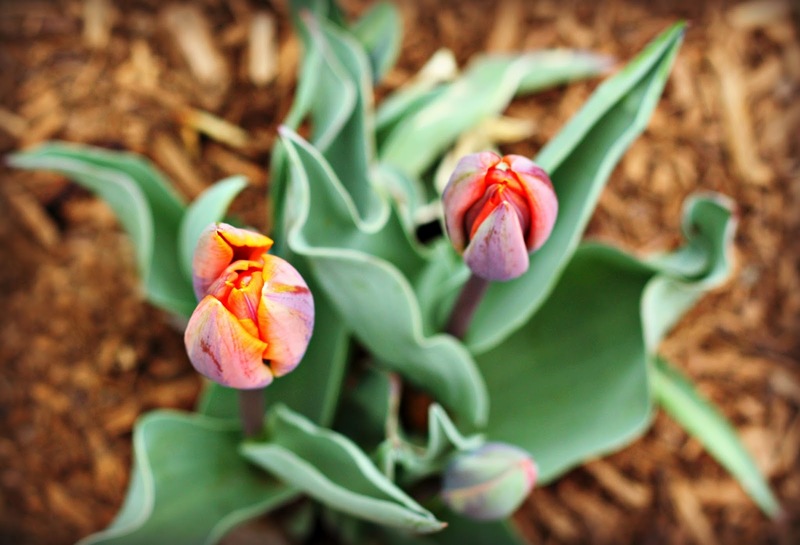 Tulips are a sure sign of spring! It's here! goodness adrienne, they are beautiful!! planting tulip bulbs, proving that you believe in tomorrow!! the third image is just stunning!! What beautiful flowers to find! I love the fiery colors. So spring-like! 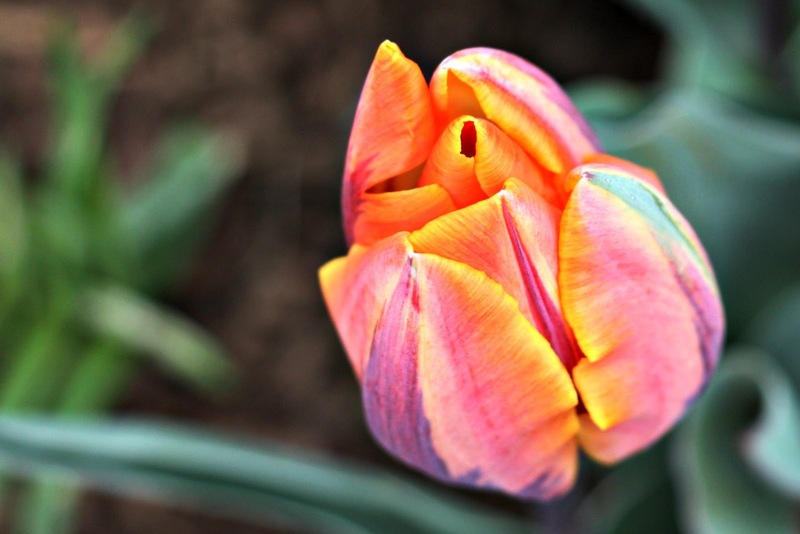 the colors of this tulip are fascinating!